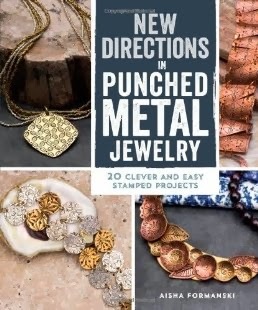 Tammy Jones, on Jewelry Making Daily, recently shared what she had found in Aisha Formanski's book Punched Metal Jewelry. Smartest, easiest way to make prongs ever! I've seen it before in other books and online, but Aisha's beautiful photos make it so easy to understand if you've never tried it before. Visit the first link above to see the technique, the second link for more info on the book. I've not yet seen it, so I can say no more!